How To Study Indian Society For UPSC Civil Services Mains Exam? 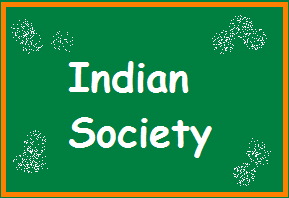 Indian Society is a topic under UPSC Civil Services Mains Exam in GS Paper -1. Along with Indian History, World History, and Physical Geography, Indian Society is also a significant portion and hence should be given its due importance. The section might be a cake walk for those candidates with Sociology optional, but many others do not seem fully confident in this area. Let’s have a quick look at the hot topics under this section as per latest UPSC syllabus. How to approach the area “Indian Society” for IAS Exam? Please be very clear from the beginning that this section is one of the easiest portions in GS Paper 1, and does not require specific knowledge or mugging up of details. But your understanding about the Indian Society will be properly checked by UPSC, and hence make sure that, the picture you present reflect the actual Indian Society. An easy way to identify the features of Indian Society is to take a look from outside. If you try to look Indian Society from within India, you might not be able to understand the intricacies. As a beginner, assume the perspective of a foreigner visiting India and try to see Indian Society through his eyes. How does Indian Society appear to a foreigner? If Indian Society is analyzed from north to south and west to east, the first feature that anyone recognizes will be the diversity of India Society. Language – 22 Scheduled Languages and various minor languages and dialects. Religion – 80% Hindus, 14 % Muslims, 2 % Christians, 2 % Sikhs etc. And if we are all diverse, then what unites India as a nation? Analyze. The next important area is the problems in Indian Society. Is Indian Society well and fine? Are we all civilized and developed? Do all sections of people think in a rational and scientific way? Are we a society of peace and freedom? Are there people who live in poverty, illiteracy, exploitation etc? Every society has its own problems. Indian Society too has. 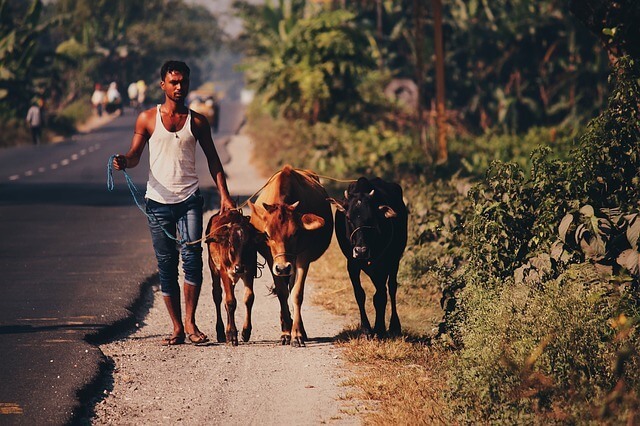 A deep rooted Caste System is unique to India, and it still has its impact in the 21st-century society and even in modern vote bank politics. Though not a highly orthodox society in terms of religion, the multiplicity of religions in India is exploited by many anti-Indian elements to spread communalism. Another important aspect not to ignore is the inequalities in India existing socially, economically and politically. A minority of the richer class keep a majority of resources while a vast majority is living in poverty and hunger. Dalits and Tribals are still backward. Even after 65 years of Independence, not all of them attained an equal status with the rest of the society. Same is the case with women in India. Women in general, do not get equal opportunities as men. If we take the case of children, malnutrition is as high as 40%. Indian Society, in general, can be said to be a peace loving society. We are neither too conservative nor too liberal. As a developing nation, we have our own limitations, but only a rational and scientific thinking society can bring positive changes. Unfortunately, Indian Society is home to a lot of superstitions and orthodox traditions, which still exists even after achieving 75% literacy. Identifying the problems is the first step. Finding the solutions the next. Think in the perspective of an IAS officer what can be the solutions to solve the problems of Indian Society. Give stress on the below points. Indian Society (A General Overview). Online Study Materials and PDFs provided by ClearIAS.com. PS: Please be aware of the social happenings, new bills related to the society etc. Only an outline of the areas to be covered under the section and strategy to cover them is discussed in this article. Expect more free resources and notes in the IAS Study Materials section soon. One and only one required website for civil service aspirants…. Thank you sir for providing this information.